There are dozens of great YA books coming out these days, but some really spectacular ones are getting lost in the wash. Here are some awesome ones that should be getting way more press than they are. Nikki is broken. Her mother is dead, her family is shattered, and when her boyfriend is unfaithful, that's the last straw. Because there's Cole. An immortal who can take everything--the pain, the guilt, the misery--and make it go away. But after fleeing to his world, she has six months on the surface to make peace before she has to leave again, and because Cole's queen, or perish. Only Nikki's realized what her life is worth. And she's willing to fight for it. It's a beautiful mix of myths, action, and romance, with beautiful writing holding it together. Katharine is sent by her greedy aunt to the state of her uncle, a lunatic, to claim it from him. What she finds instead is a childlike genius with a town, his attractive protector, and a town of people saved from workhouses. Now she's torn between money that could free her from her aunt's clutches and a place--and people--she's growing to love. And as she digs deeper, she finds herself falling deeper into danger, and perhaps her own insanity. Written in a beautifully Victorian style like a modernized Jane Austen, it's a must-read for any fan of historical fiction--or mystery and intrigue. Alison wakes up in an insane asylum. The last thing she remembers, she was fighting with a girl from school. And that girl disintegrated. The cops are after her for information, the doctors think she's insane, and Alison is caught in her own mind, unable to trust anyone, or even herself. Enter Faraday, a dashing psychologist who teaches her about her strange perceptions: the ability to see sounds, taste colors, hear the stars. Only nothing is what it seems. This clever psychological sci-fi mystery follows Alison's struggle to find the truth about what happened that dark day, and the secrets that lie far beyond our world. It's by far the most unique YA sci-fi out there and the writing is as gorgeous as a painting. Similar to Ultraviolet, we have a girl trapped, unable to be sure what demons are real and which are in her own head. Classic ghost story meets psychological thriller in the story of Rinn, a bipolar girl trying to start over in a new school after a horrific accident. Only this school isn't ordinary. There's something wrong, something related to a long-dead girl who's spirit is trying to contact Rinn. As stranger things happen and more people die, Rinn races to stop the ghost. But when your own thoughts are your enemy, how can you be sure of anything? It's a great thriller and has a touch of very sweet romance and an ending that will stop your heart. Momentarily, of course. In the tradition of Thirteen Reasons Why by Jay Asher, this is a story of a dead girl, and the people she's left behind, trying to pick up the pieces. Ellie was a friend. A girlfriend. An enigma. Troubled and broken, she overdoses one fateful night--intentional? No one knows. Framed by the 34 notes that Ellie has left behind, this powerful book follows three friends struggling in the aftermath to make sense of Ellie's death. In the process, they discover their own demons, and the ways that Ellie has touched them all. Moving and dark, it's a must-read for teens. What are some YA books of the past few years that you think deserve more press and more reads? 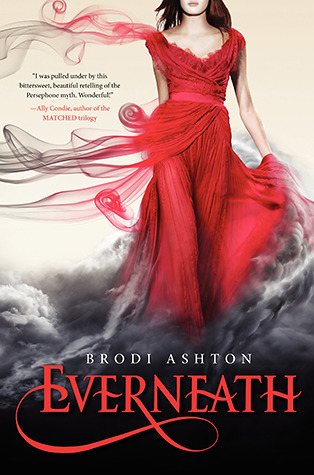 I loved Everneath, and it amazes me how unknown it is outside of the blog world. 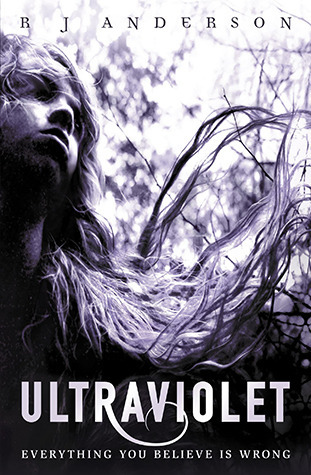 I tried to read Ultraviolet from Netgalley, but had such a messed up copy I could never get into it. So I really need to give it a chance. Thanks for the heads up on all of these! Same! Not a lot of my friends here read YA much, but still. Do read Ultraviolet! It's really fantastic, well worth the second try. YES! Love this post! I just read Ultraviolet and I couldn't figure out why I had never heard of it before, because it was so good. 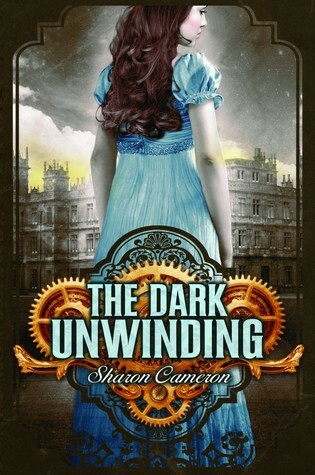 And I LOVED The Dark Unwinding, another book I just happened upon that was amazing and woefully underappreciated. 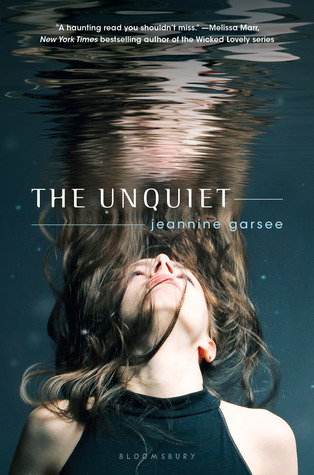 I hadn't heard of The Unquiet before, but it sounds like my kind of book, so it's going on the TBR list. Oh, and my most recommended underappreciated YA book: Seraphina by Rachel Hartman. It was my favorite read in all of 2012, and I can NOT understand why every YA fan isn't gushing about it with me. Same! I came across it somewhere, I don't even remember, and it's SO much better than some of the generic mysterious-boy romances out there. Okay, I have a bone to pick with that trope. But still. Great writing, clever theme, should totally be wider read. Yay, new TBR! I hope you love the Unquiet. I think you'll find some parallels with Ultraviolet. I've seen Seraphina before. I remember this cover. Since you speak so highly of it, it's going on my TBR. I always want to give the underdogs a chance! And I love fantasy. Even Throne of Glass, which did quite well, I feel doesn't get enough credit.